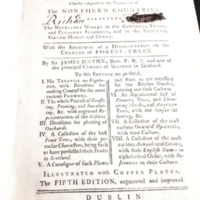 The British Gardener's New Director was authored by Sit James Justice and published in Dublin by John Exshaw in 1771. Sir James Justice (1698-1763) was a Scottish horticulturalist and gardener. His extensive works on gardening, such as The Scots Gardiner and The British Gardener, were distributed in much of Britain and Ireland. 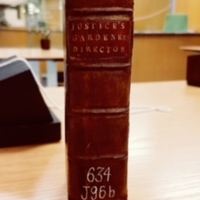 The Scots Gardiner was a sort of dual volume on gardening directives and Scottish horticulture comparative to Justice's The British Gardener's New Director. James Justice was a Fellow of the Royal Society until his dismissal. Justice's interest in horticulture established him as the father of Scottish gardening of the 18th century. 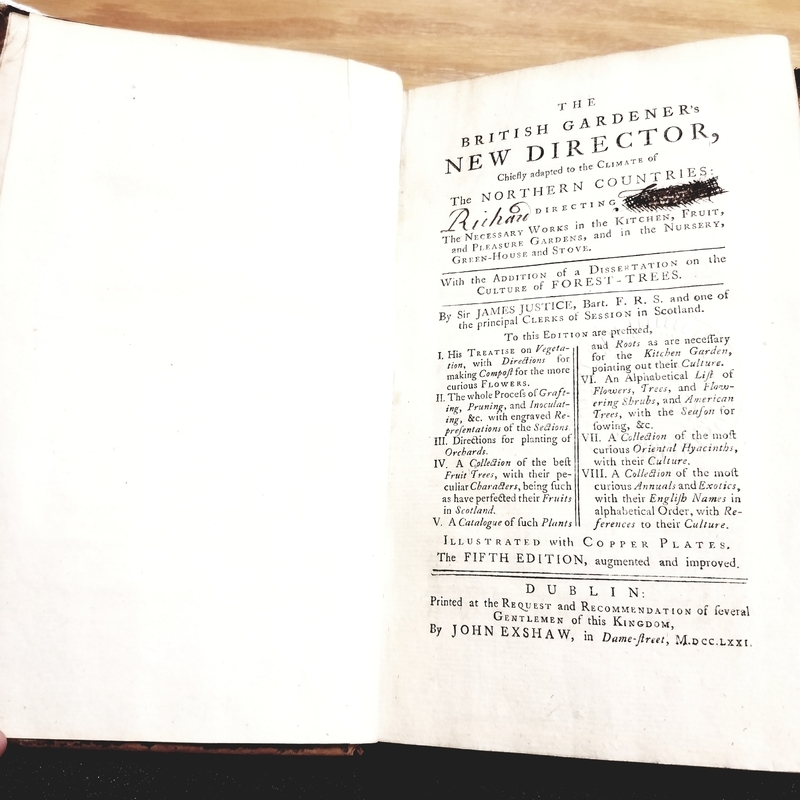 The full title is The British Gardener's New Director, Chiefly adapted to the Climate of the Norther Countries: Directing The Necessary Works in the Kitchen, Fruit, and Pleasure Gardens, and in the Nursery, Green-House and Stove. With the Addition of a Dissertation on the Culture of Forest-Trees. This volume is a 5th edition, augmented and improved and illustrations with copper plates. 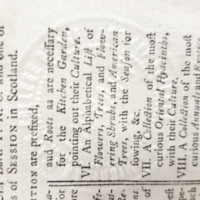 The first edition began as The Scots Gardiner. There are 474 pages, 8 of which are unnumbered. This volume contains 5 highly detailed folding plates. 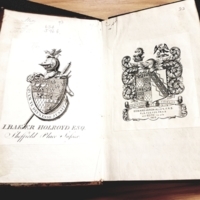 This bookplate belonged to John Baker Holroyd (21 December 1735-30 May 1821), the first earl of Sheffield of Sussex, England. 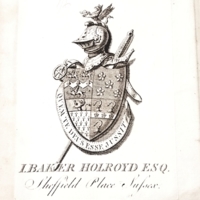 Holroyd was an English politician who came from a Yorkshire family, a branch of family which had settled in Ireland, and in 1769 he inherited the wealth to purchase the estate of Sheffield. In 1783 Holroyd was elected a Fellow of the prestigious Royal Society. Twenty years later in 1803 he was appointed to President of the Board of Agriculture and made president of the Board of Trade and appointed to the Privy Council in 1809. These offices established Holroyd as a prominent authority on farming, agriculture, trade, and finance. 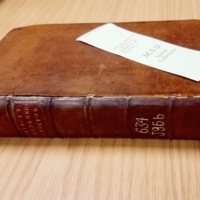 Holroyd's authority on farming and agriculture, as well as his office as a Fellow of the Royal Society, would explain his interest in Justice's The British Gardener's New Director and its acquisition to his personal library at Sheffield. 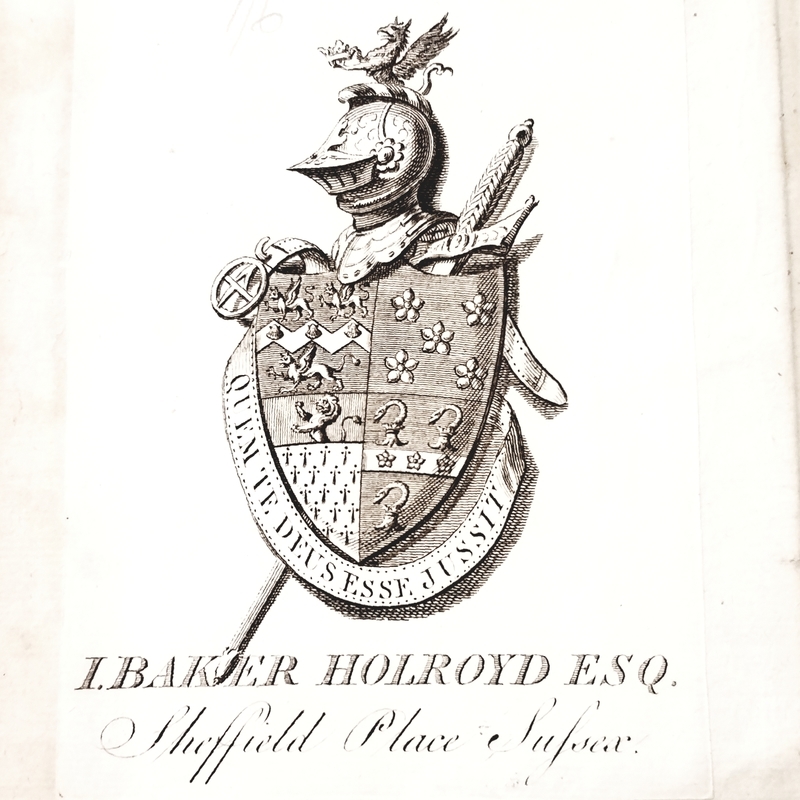 Holroyd's bookplate is located on the front endpaper. 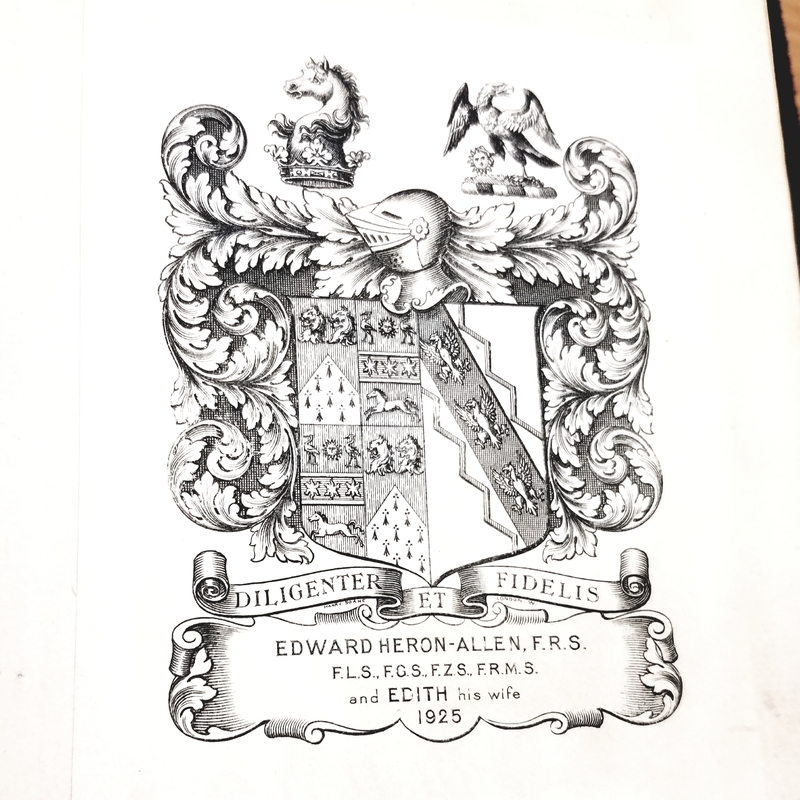 This bookplate belonged to Edward Heron-Allen F.R.S. (17 December 1861-28 March 1943) of Selsey West Sussex. Heron-Allen was an English lawyer, scholar, scientist, and polymath. The bookplate is located on the front free endpaper. Heron-Allen was elected a Fellow of the Royal Society in 1919 and later he was appointed Fellow of: the Linnaean Society, the Geological Society, the Zoological Society, and the Royal Microscopical Society. 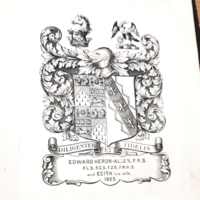 The bookplate belonging to Heron-Allen proves ownership of a volume acquired in his library following his marriage to his second wife, Edith, who is also mentioned in the bookplate. The bookplate had to have been made after 1903, following his marriage to Edith in 1903, and declared property of their library at his estate called Large Acres. Large Acres was located in Selsey of West Sussex. Following Heron-Allen's death in 1943 his works were donated to various British libraries and museums. Most works went to the Natural History Museum and some to the Royal College of Music. The London Library holds most of his Persian translated works. It is unclear how MSU acquired The British Gardener's New Director after Heron-Allen's death. Located on the title page is an inked inscription belonging to "Richard". 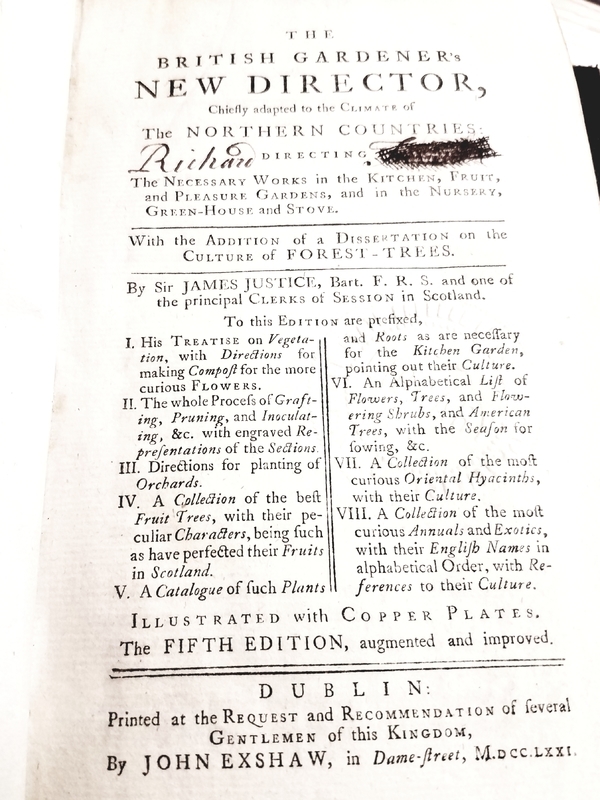 The title page similarly includes a presumably inked out inscription located to the right of Richard's signature. There are no other signatures or marginalia present on any other leaves throughout the volume. Because of this it is difficult to infer who Richard is and when he owned The British Gardener's New Director. 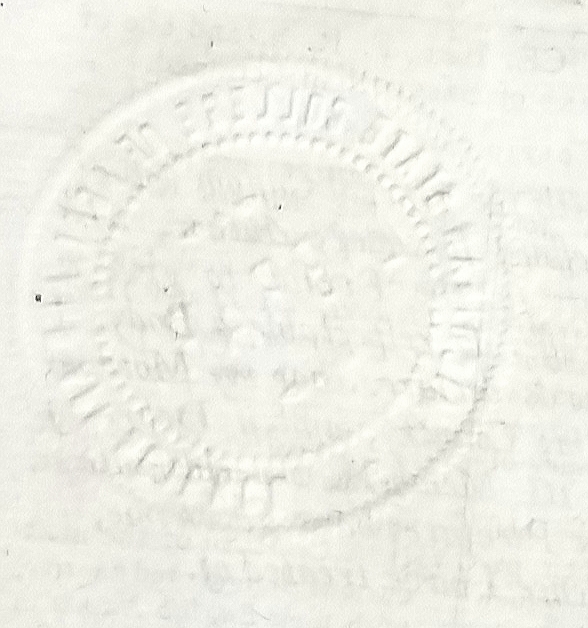 Located on the title page is an imprint of an embossed stamp belonging to Michigan State College of Agriculture Library. There is no date included with the stamp. 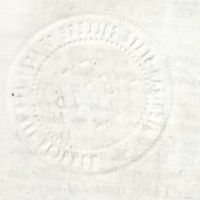 However, Michigan State University experienced various name changes since 1855 and this particular embossed stamp suggests that Justice's The British Gardener's New Director was acquired and stamped by library staff sometime between 1943-1955 when MSU was known as Michigan State College of Agriculture. 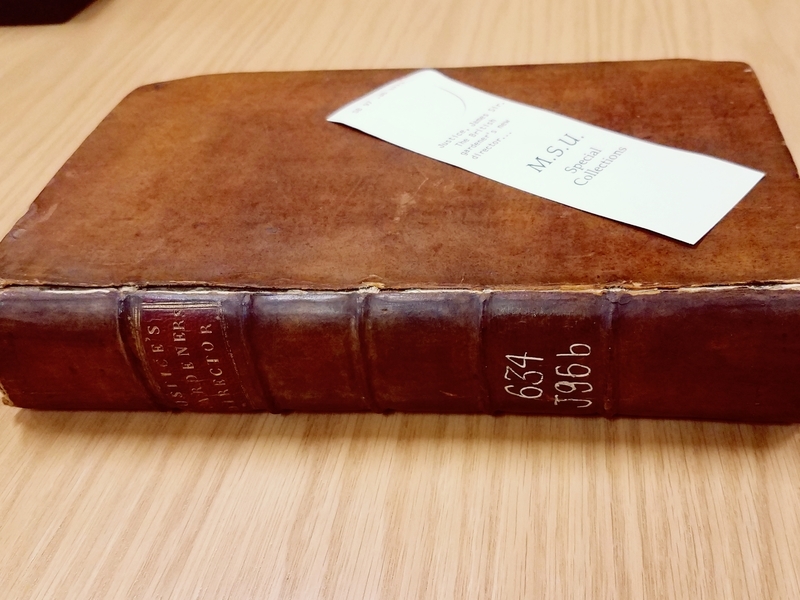 This evidence suggests that this volume has been in possession of MSU Libraries since 1955 at the latest. 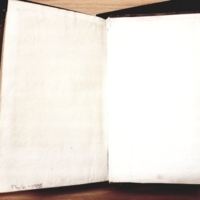 The rear free endpaper shows evidence of a removed bookplate. 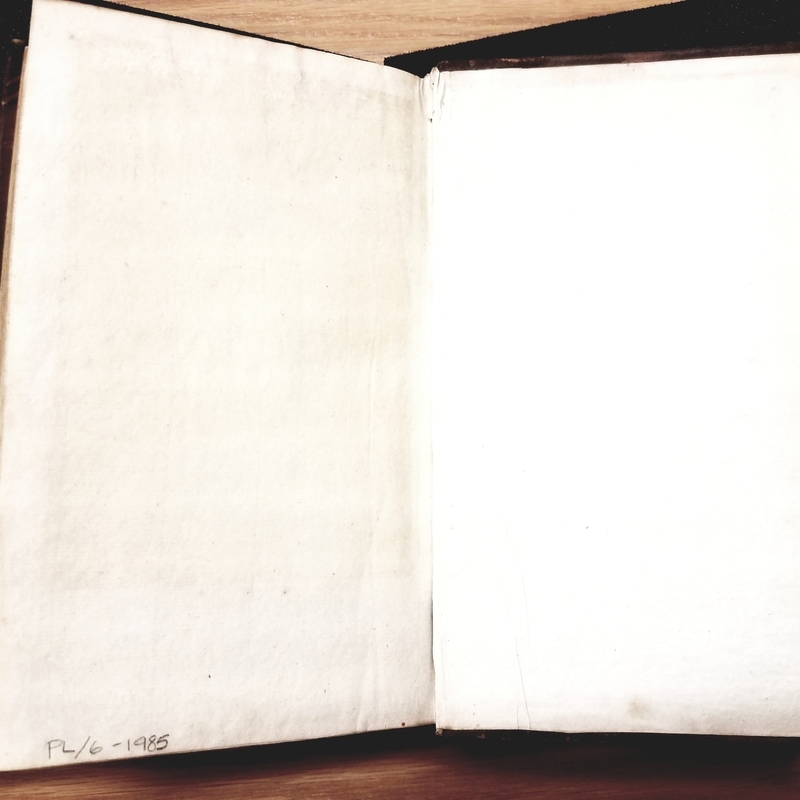 There is no clear mirror image on the rear endpaper. Located at the bottom margin is a pencil marking reading: PL/6-1985. This exhibit page on Sir James Justice's The British Gardener's New Director was created by Taylor Gruizinga. She is currently a student at Michigan State University and enrolled in Professor Liam Brockey's course History of the Book during the Fall semester of 2017. Photographs were taken by Taylor Gruizinga at Michigan State University's Rare Book and Special Collections Library on October 5th, 2017.